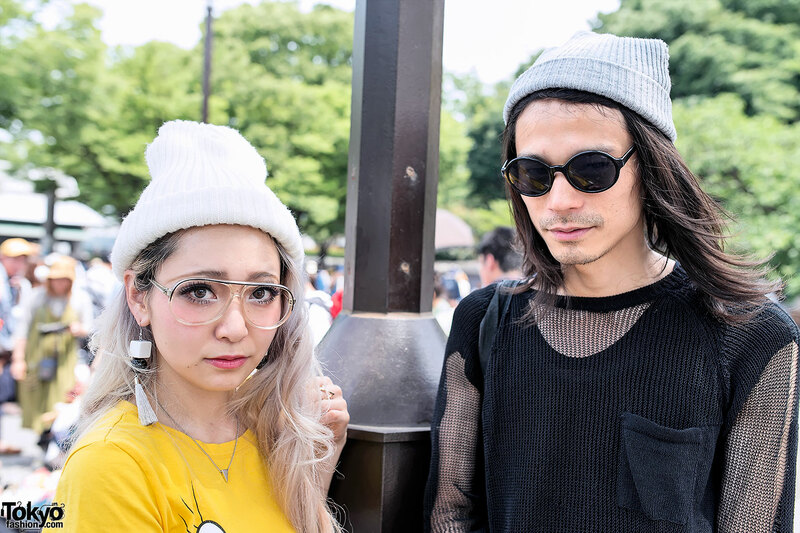 Here is a cool duo who we met at the Yoyogi Flea Market in Harajuku. Her cute Tweety Bird-themed outfit is what first caught our eye, but the guy’s style is exceptional as well. Haruka from Barrack Room is wearing a Tweety top with a matching yellow bodycon mini skirt and tall wood platform heels. Her friend’s look features a net top with floral-print pants and New Rock platform shoes. In case you missed it last year, check out our Yoyogi Flea Market pictures and video too! I am in Japan at the moment, and was wondering when the next Yoyogi Flea Market was going to be held, do you know? Wow ! Both are awesome ! 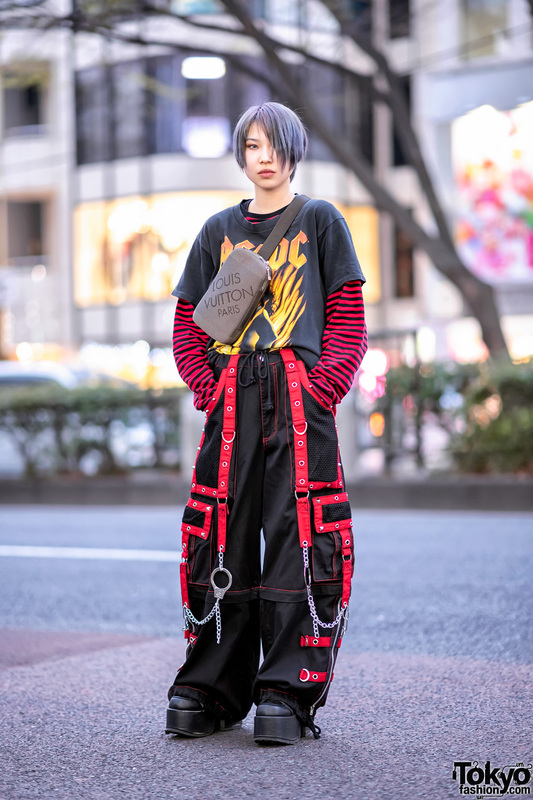 (Except the New Rock shoes that I don’t like that much worn with pants like those) Especially, her hair is supercool, and her platforms look SO GREAT ! @Ashley – The schedule is here: http://www.yoyogipark.info/ – It doesn’t show any upcoming, but it’s updated often so keep checking. If you’re in the area, you could wander over and check on any Sunday to see if it’s going on. They are usually from morning to around 3pm when held. he is absolutely perfect from head to toe. OMG the dress!!!! *-* i realy loved de dress!! !